Mail A Spud will send an actual potato through the mail. No box. No envelope. 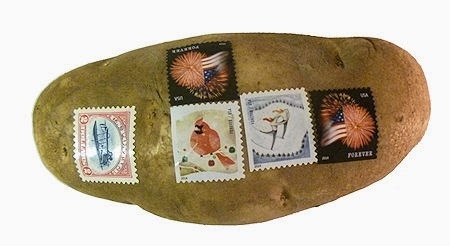 Just a potato and some stamps. Choose a recipient. Mail a Spud will write their address on the potato for a fee of $9.99. Then they'll send a Russet potato with stamps on through the United States Postal Service to your mailbox. For the moment, the service is only available in the United States.